Sometimes it is easy to know how or why something has happened to you, such as an injury. However, sometimes it seems impossible to explain where your headaches have come from, or why you wake up at night and can’t fall back off to sleep… Sometimes these symptoms get worse and worse and mainstream medicine can only offer you medication which comes with side effects… There is another way. ​With Chinese Medicine there is always a reason for your symptoms, we can help you understand your symptoms, work out where they have come from and how they relate to each other. You will be able to understand the root cause of your problems and therefore be able to prevent the symptoms from coming back by making informed lifestyle choices. Acupuncture treatments with Anita or Jack may also include the use of moxa, guasha, cupping and lifestyle advice, which all help to aid healing by restoring the natural balance within your body. Your body want’s to heal itself, sometimes all it needs is a little prompting in the right direction. Anita Tempest- Keeping from The Fine Balance is currently offering treatments from The Floating Room on Thursday afternoons. Please contact Anita directly on 07414 969598 for appointments. I was born in Salisbury and from a young age I was always aware that there was something missing in our cultural knowledge to do with our health as a society. I would ask myself often, ‘why are we always getting sick and relying on medications, what are we doing wrong?’ It wasn’t until I went to university in Chichester in 2006 and joined a yoga class that my journey began. ​I remember my first yoga class with much affection; it was my first dose of peacefulness and an absolute knowledge that I was where I was supposed to be. I knew in those 90 minutes that I was going to become a yoga teacher. In 2010 I studied for my foundation diploma certificate in yogic studies with the British Wheel of Yoga, this course gave me my first understanding and respect for eastern knowledge and philosophy. During 2012-2013 I spent a year traveling the world where I visited ashrams of Yoga and experienced the yogic way of life, I took part in karma yoga (the yoga of selfless action) and started on my dharma path. This led to my choice to travel to India to train as a teacher of the Sivananda tradition in the Himalayas. Whilst there I was welcomed into the Sivananda school and given the spiritual name Karuna, which means universal compassion. Later, I traveled to Austria to enhance my teaching skills and train to teach Yoga for pregnancy. I also practice Vipassana meditation. ​During my time in India I became quite ill with a fever and tummy bug, which was a blessing in disguise as a fellow student was an acupuncturist and within 10 minutes of the needles being in, I felt a thousand times better. I was absolutely shocked at the effectiveness of acupuncture and from then on I wanted to know all I could about it. ​Whilst studying in Reading at the College of Integrated Chinese Medicine my childhood questions about why we get so ill were answered. My personal realisation was that we live quite out of balance to what nature intended, so it is only natural that our bodies fall out of balance frequently if preventative steps are not taken. It is my belief that with awareness of what brings us out of balance and knowledge of how to counteract these influences, it is still possible to find the fine balance that is right for each of us. 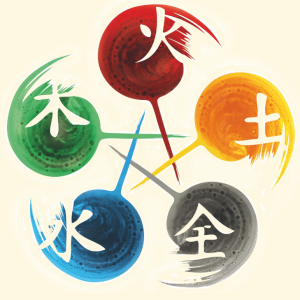 ​I graduated from the College of Integrated Chinese Medicine with a BSc(Hons) in Acupuncture and Licenciate qualification. I am also a member of the British Acupuncture Council (BAcC) Please click here to visit their website. I am currently training in Paediatric acupuncture as I am passionate that treating childhood conditions can prevent a lifetime of illness and imbalance! I hope to open a children’s clinic next year.I am also honing my skills in Chinese medicine Face Reading.